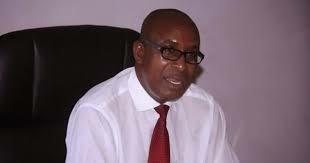 ARMED robbers allegedly broke into the Dr Thokozani Khupe-led MDC-T deputy president Mr Obert Gutu’s law chambers in Harare on Wednesday night, attacking a security guard and leaving him for dead. Mr Gutu and Dr Khupe lead the breakaway MDC-T following succession squabbles in the opposition party which resulted in Advocate Nelson Chamisa leading another camp. Mr Gutu could not confirm if the attempted robbery was politically motivated but quickly hinted that it comes following death threats that were issued against him by supporters of Adv Chamisa. At the heart of MDC-T divisions, the former spokesperson revealed that he has received death threats from unknown suspected MDC-T supporters who were using South African cellphone numbers. Mr Gutu yesterday posted circumstances surrounding the attempted robbery on Facebook. “There was a break-in at Negona Chambers around midnight on Wednesday May 2, 2018. More than 10 burglars armed with iron bars broke into our premises and severely assaulted the security guard who was on duty. The guard suffered very serious head injuries and we evacuated him to a local hospital for emergency medical treatment,” read his post. He said the robbers got away with nothing due to the swift response of security personnel. “The thugs vandalised the outside alarm system sensors and they also broke the kitchen door using iron bars. The timeous arrival of two Safeguard Security reaction teams saved our security guard’s life since he had been left for dead. The thugs ran away without stealing anything,” Mr Gutu said. “Over the past few months, I have been receiving death threats on my mobile phone from several South African-registered mobile phone numbers”. Contacted for further clarification on the matter, Mr Gutu said he does not want to speculate on whether the attack was politically motivated saying he was leaving the rest to the police. “I really would not want to speculate, I’m a trained legal mind. I don’t want to give way to speculation. This matter has been reported to the police, the police were here recording statements, took fingerprints and I think it will be irresponsible for me to jeopardise police investigations,” he said. National police spokesperson Senior Assistant Commissioner Charity Charamba said she was not aware of the matter. She said if the matter had been reported to the police she was convinced that thorough investigation would be conducted.